Home & Office Deep Suede & Leather Sofa Cleaning Company DA Bexley | RDA Cleaning & Maintenance Ltd. Adding a stylish sofa to your interior will make it more elegant than ever. But it will also make your housekeeping job tougher. Keeping such furniture clean and shiny is not a harsh task if you rely on a professional sofa cleaning company Bexley DA. We offer you commercial and domestic sofa cleaning service at fraction of the cost! We guarantee you full customer support services - 24/7 with no exceptions. Each one of our technicians is fully vetted and checked to ensure the good quality we are known for. Before the cleaning session a cleaner is sent out on a job, he has to pass a thirty day training course led by Prochem. They are being trained in properly handling the professional equipment, proper detergent application, fibers types, carpet backing and so forth. When it comes to the detergents we use, it is our goal to make it as safe as possible. That is the reason we use bio-degradable materials that leave no trace after their usage, alleviating any allergies. This is a safe way of leather or suede sofa cleaning Bexley DA even the mattress of a toddler’s crib. 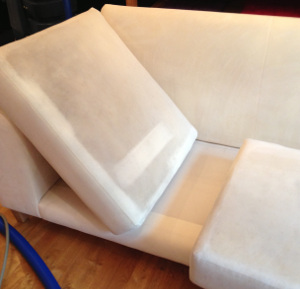 Book Our Expert Sofa Cleaning Bexley DA Services Today! So if you have settled with one of our sofa cleaning Bexley DA services then feel free to give us a call at 020 3404 1646 or use our online booking form so that we can quickly be on our way to help you with your cleaning tasks.